What a tremendous effort by the club to finish in the top 3 for the 3rd year running. Sadly the season is already being remembered by some as a failure due to that performance at Wigan, but I'm sure that the season will be seen as a success in time. Our monthly meetings are remaining popular with a continuation of excellent guests. Thanks are due to Trevor for stepping into the breach left by Mick's various illnesses. The trip to Holmfirth Vinery was a social success but a financial mess. The proprietors charged us more than what they initially agreed and are refusing to give us a refund. Solicitors will now be employed! Sadly, due to various reasons, the ever popular 'Reindeer Race Night' had to be cancelled. However, planning for this year's is almost complete and will take place at Turnbridge WMC on Friday 11th December. Further details later. Due to the club designating the Fantastic Media Suite a pre-match meeting area for sponsors, there have no sessions for youngsters this season. You will all be aware of our superb annual raffle. It almost did not get off the ground but at the last minute two superb prizes were offered. Thanks to Catalans Stadium Tours for the outstanding 3 nights accommodation and match tickets and to the club [and us!] for the 2016 season ticket. Major prizes are one thing, but we would not have been able to sell them to non-Giants people if it had not been for Eric's and LaLas' offering meals for two and Brosters Farm Shop for their Â£10 voucher. Judith, Trevor, and Tonia deserve special mentions for their efforts in organising people and selling tickets. Our Pre-Season Meal was hugely enjoyed by all who went to Northern Taps. Although the attendance was a little disappointing the evening was excellent. We are constantly trying to bring together all the various voluntary factions connected with the club and now have a good working relationship with the Players Association, the Legends, the Fanzine, and the Senior Giants. So much so that we have joined together for the End-Of-Season Meal at Greenhead Masonic on the 24th of October. We continue to be involved with the club, helping to organise events such as the Cricket Family Day, Fans Forum, etc. 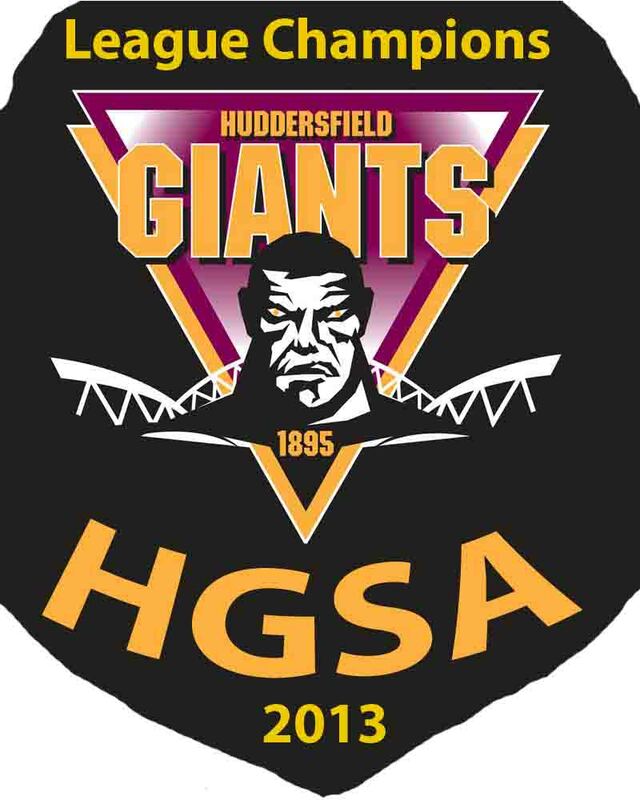 We continue to be a valued and trusted member of the Giants Family. This means that the Board Of Directors [Ken Davey, Richard Thewlis, and Paul Morgan] continue to be keen to meet with us and listen to what you, the fans, are saying. Sometimes they act on our advice, other times they say why it is impracticable. Thanks to Tony for being our 'Flag Manager'. He ensures that it is displayed both home and away. We continue to hand surplus money to the Talentbuilder fund at the Giants â€“ Â£3000 this season, though only Â£1000 appears in the accounts due another Â£1000 being presented after our accounting year end. I'd like to thank David and his staff here at Turnbridge for continuing to make us feel welcome â€“ not only on meeting nights, but also on match days. Thank you David. You committee has again worked tirelessly in the cause of building HGSA. Thank to all for the effort, commitment, and enthusiasm you have again shown over the past 12 months. A visit to Magic Rock Brewery on Thursday October 22nd and the Reindeer Race Night are already in the diary. We have suggested the Fans' Forum for January 21st/28th. Other suggestions are welcome.